MASSIVE STRENGTHENING OF IAF MASSIVE! The US will reportedly provide Israel with more F-35s after Russia supplied Syria with S-300 missile systems. Moscow’s move came in response to the downing of a Russian military plane, which it partly blamed on Israel. US President Donald Trump decided to lend a hand to America’s most devoted ally following consultations at the“highest administration and military levels,” DEBKAfile, a military intelligence news site, said to have ties with the Israeli security services, reported. The move to increase Israel’s weapon arsenal was taken in the wake of Russia’s “enhanced threat” and its decision to deliver S-300 air defense systems to the war-ravaged country, according to the report. The precise number of aircraft destined for Israel, however, has not been disclosed. It is also understood that Prime Minister Benjamin Netanyahu, crown princes Mohammed bin Salman of Saudi Arabia and Muhammad bin Zayed of the United Arab Emirates, were informed of Trump’s decision. 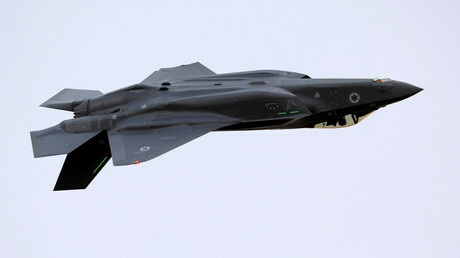 The F-35 stealth multirole fighters in question will be deployed from the US Air Force’s active service squadrons, the report said. The first squadron will be posted at the UAE Al Dhafra Air base, some 32 kilometers (19 miles) from Abu Dhabi.